On the one hand, by juice I’m referring to the jars or cartons of grocery store juice; this stuff is usually clear, filtered, strained and sweetened – often with some added preservatives and flavors as well. On the other hand, by juicing I’m referring to taking whole foods and using a Vitamix (my recommendation) or other powerful blender to make juice from whole foods. Just to be clear – I’m referring to juice that still hs the pulp or fiber from the whole food included – not strained, filtered, or extracted juice. Here are a few of the differences between the two and reasons you should be using a Vitamix. Juice in a jar has been made, distributed, bottled, stored, distributed yet again and then purchased from your store before finally reaching your home. In extreme cases – for example in the case of orange juice – the juice may have been stored a year or more before being “enhanced” and packaged and sent to your grocer. There is no juice fresher than that consumed right after you make it. Clear juice in a jar or bottle has been strained and filtered to the point where virtually all of the fiber has been removed. When you make your own juice from whole foods, they still retain all of the benefit that they did before being made into juice. While it’s true that the fruit won’t crunch in your mouth like it did before being juiced in your Vitamix, you’ll still be ingesting all of the fiber and nutrition – just in pulverized form. Fresh juice (namely juice made at home with a Vitamix) tends to have a higher antioxidant, enzyme and phytonutrient count as a result of being freshly juiced, and not strained, filtered, and pasteurized. 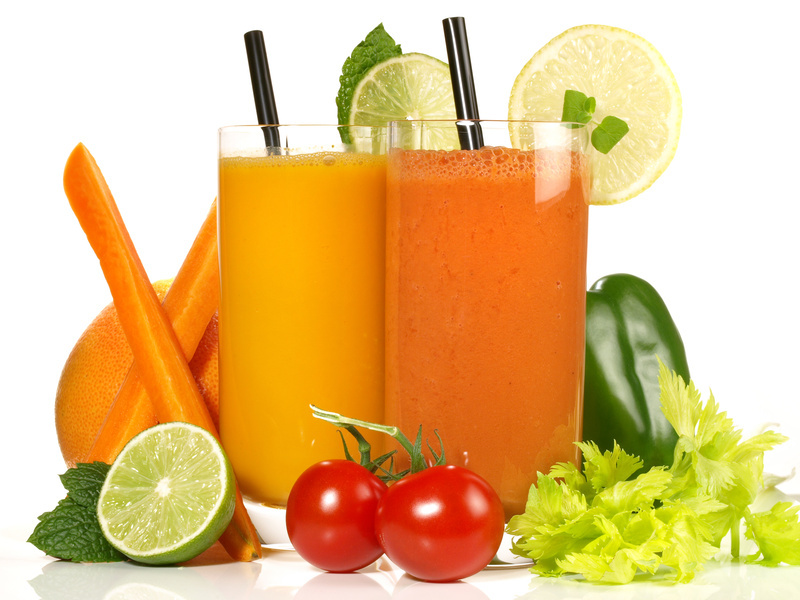 In addition, many juices and especially juice drinks that are labeled as 100% juice or 100% natural contain additional apple or grape juice or juice concentrates as sweeteners. Stick with fresh made juice – for the freshest and most nutrition, make your own. Juice can be an important part of a healthy lifestyle, but you’re best off when it’s your own fresh made juice. This way you control the ingredients, can certain of what is and isn’t in the juice, can avoid unnecessary sugar or artificial sweeteners, and can customize the juice to your tastes. I recommend always including some vegetables in your fruit juice for balance and nutrition.